Miss Piggy, Kermit the Frog and the rest of the Muppets gang are preparing to take to the stage with the launch of a new production this October. 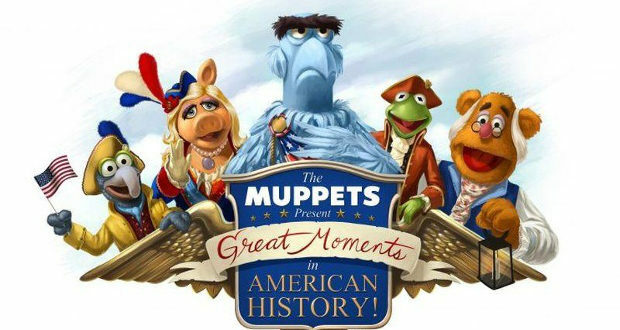 The Muppets Present…Great Moments in American History will now hit the stage at Walt Disney World’s Magic Kingdom from October 2nd with several daily shows outside the famed Hall of Presidents. The new show will feature Sam Eagle, James JJ Jefferson and the Muppets crew as they tell historical tales from America’s past as well as performing a raft of original song and dance numbers. Earlier this year, Disney revealed it was preparing to open a Rizzo the Rat inspired pizza restaurant at the Muppets Courtyard at Hollywood Studios. The restaurant is scheduled to open this autumn. The eatery will replace the former toy Story Pizza Planet which closed earlier this year.